The Wilmington Equestrian Center is a host of premier equestrian events and is a nationally recognized first-class equestrian facility. The World Equestrian Center surpasses the expectations of exhibitors and spectators by bringing elegance to the show while maintaining tradition throughout the experience. The size of the Wilmington Equestrian Center gives us the opportunity to host a large number of shows throughout the year. A variety of shows allows seasonal showing to be an even more enjoyable experience. We accommodate our guests with more than 600 permanent stalls and 116 camping spaces, bringing comfort and luxury to all of our visitors. Take a closer peek at the largest equestrian complex in Ohio. 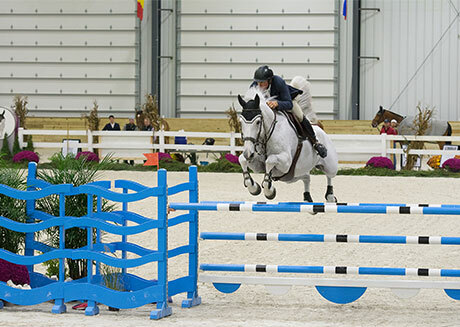 Enjoy all that the Wilmington Equestrian Center offers as a world-class equestrian sport destination. The Wilmington World Equestrian Center can handle all of your equestrian needs. 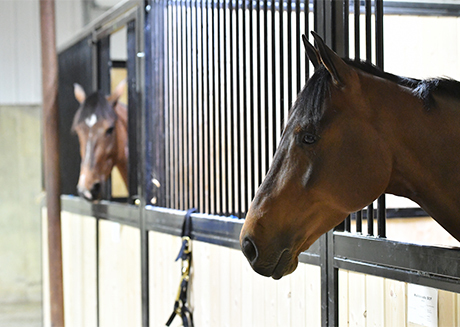 Our state-of-the-art facility with recent additions offers indoor and outdoor accommodations and amenities to suit the needs of equestrians competing in a show. We also offer climate controlled equestrian arenas and barns that allow you to enjoy equestrian sport activities all year long no matter what the weather is like outside. 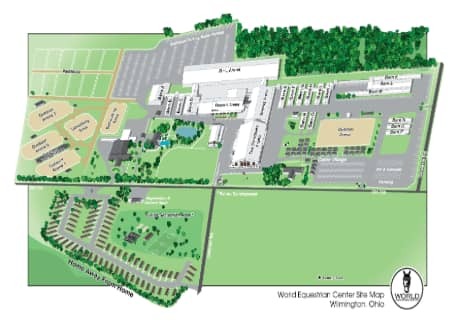 The original World Equestrian Center is conveniently located in Southwest Ohio. It sits just one hour from the metropolitan areas of Dayton, Cincinnati and Columbus. 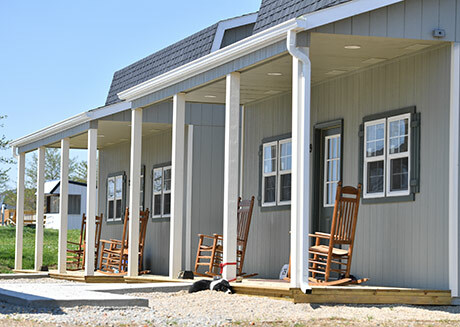 Set on more than 100 acres, the facility is less than two hours from the Kentucky Horse Park. Our World Equestrian Center Wilmington facilities are designed for all of your equestrian needs. The Wilmington Equestrian Center is a unique equestrian competition facility. 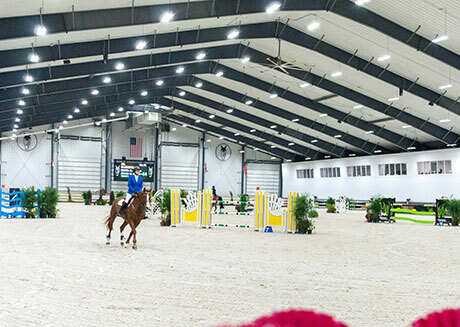 We offer three expansive Ohio arenas in the largest extensive indoor/outdoor equestrian venue in the United States. Our Ohio facilities include three large indoor competition arenas and dedicated warm-up areas. We also offer three outdoor competition rings and four warm-up rings. 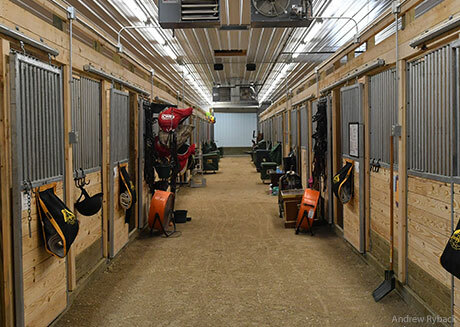 Our climate-controlled indoor arenas connect to stabling areas with covered walkways. You never have to go outside while enjoying a comfortable 68 degrees indoor temperature. Enjoy bright indoor facilities with energy efficient LED lighting. Our heated Ohio equestrian barns contain more than 600 stalls that can be used all-year round. We have 15 wash racks for your use during your time here as well. 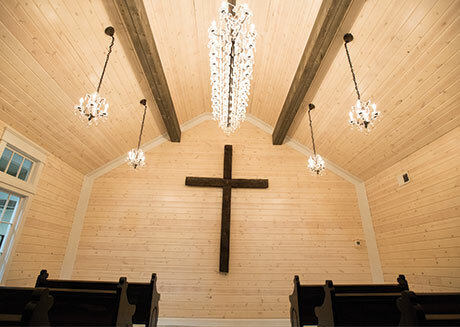 Our competitively-priced barns connect to climate-controlled indoor arenas and 24-hour security. Many of our four-wall barns with latches are concrete and matted. Enjoy our mat rental service for your convenience as well. First introduced in 2016 at the World Equestrian Center in Wilmington, Ohio, The Cadets Horsemanship Program is designed to teach critical horsemanship skills to young riders competing in the Junior divisions. This exciting program is free and open to all. The Cadets Horsemanship Program offers learning and hands on clinics to teach riders practical knowledge and horsemanship skills they can utilize in their routines. The World Equestrian Center in Wilmington, Ohio has a variety of horse show lodging accommodations. Request a “Home Away from Home” with your own driveway or your own private cabin. Our 36 cabins sleep up to six guests and are in close proximity to our arenas and barns. All rooms are pet friendly and come outfitted with a refrigerator, a microwave and TVs. We also offer RV spots with full hookups and trailer parking. Make your reservation today! Security services are available 24/7. 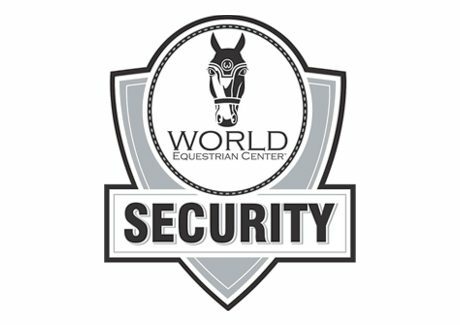 If you need to report suspicious activity or call World Equestrian Center security for any reason, call 937.382.7878. World Equestrian security tips can be found here. Access our rules and prohibited items guide here. 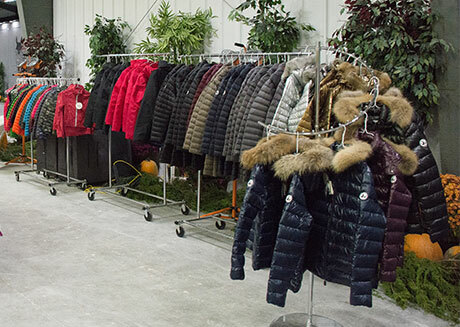 We offer a unique variety of curated vendors on site, which offer a selection of horse equipment, products, saddles and tack, horse clothing and more. Enjoy a selection of show ring accessories, specialty foods, jumps and equestrian-themed home goods too. Our Sudden Impulse boutique also offers gifts, jewelry, home goods, and merchandise for kids and dogs. 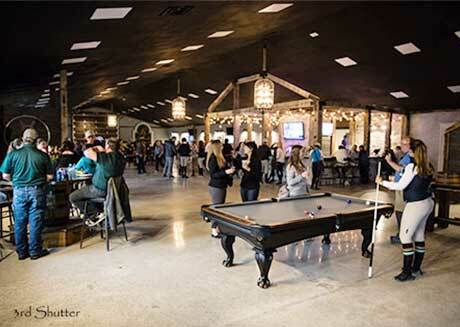 The Paddock Club at the World Equestrian Center is a family-friendly gathering place featuring free WiFi, a bar, flat screen TVs, Pool Tables, Foosball, Shuffleboard and a Karaoke Machine. Horse show exhibitors enjoy the relaxed atmosphere and elegant, equestrian inspired décor, and seating areas featuring overstuffed leather sofas, broad coffee tables and saddle leather club chairs. High top dining tables are ideal spots for enjoying meals with friends and family. The Paddock Club also serves as an event space and accommodates a range of functions and social gatherings like weekly exhibitors parties featuring chef’s carving stations and other sumptuous fare. 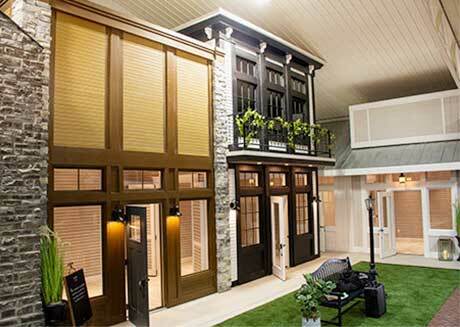 Welcome to the World Equestrian Center Vendor Village, a quaint village square setting where visitors can experience elegant shopping, dining and an Aveda Day Spa right in the heart of our horse show complex. Enjoy charming storefronts, paved walkways and comfortable seating areas; rich in equestrian style and perfect for relaxing with friends and family. All of these luxurious amenities are within a minute’s walk of the horse show action or within a short walk to the barns and on site accommodations. The World Equestrian Center’s recent additions create the opportunity to make horse showing an even more enjoyable experience. 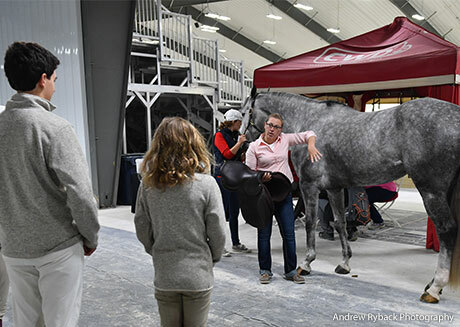 We accomplished this by adding an additional 615’ by 120’ indoor arena and by expanding Roberts Arena to 245’ x 110.’ Ohio horse show amenities provide an unparalleled equestrian industry experience for you and your guests. Join us for a worship service at the Wilmington Gathering Place! Service is open to everyone. Come as you are and worship in a relaxed atmosphere with no pressure. Come take a look at everything the Wilmington Equestrian Center has to offer by browsing our unique selection of photos showcasing our facilities, our horses and the equestrian community. World Equestrian Center Wilmington offers a unique experience for groups of all ages. The Wilmington World Equestrian Center is host to premier show events and is a nationally recognized first-class equestrian facility. Our venues bring spectators and exhibitors the most memorable experiences during their visit to our Ohio show facilities. Family friendly gatherings and sporting events are a hallmark of the World Equestrian Center. Contact us today for more detailed information about our Ohio equestrian facilities. If you are searching for a horse show venue, the World Equestrian Center in Wilmington, Ohio is your perfect location. Residents choose Clinton County because of the rural beauty and small town lifestyle. Although with more than 5 million people within 60 miles, Wilmington is still convenient to all the big city amenities and attractions. Clinton County is easily accessible to a wide selection of shopping, restaurants, sports, cultural events and employment opportunities both locally and within the adjacent Cincinnati and Dayton suburbs. Visitors choose Clinton County to enjoy our outdoor recreational opportunities. The area offers a beautiful countryside, fairs, festivals and theater. Our destination restaurants and businesses also attract employment and higher education opportunities. redevelopment of the Wilmington Air Park. From transportation/logistics and manufacturing to engineering and biomedical research, Wilmington and Clinton County are home to a diverse and sophisticated corporate landscape. Southwest Ohio has one of the nation’s largest concentrations of engineers, skilled machinists and technically trained fabricators. Wilmington also offers many educational and recreational opportunities too. The presence of Wilmington College, founded in 1870, Southern State Community College and Laurel Oaks Vocational School enrich our community with practical and advanced degree training and a small town college atmosphere. Within 60 miles there are more than 20 major colleges and national universities. These colleges include Ohio State University, the University of Cincinnati, Wright State University and the University of Dayton. Wilmington, Ohio is a city located in Southwest Ohio’s Clinton County, with a population of approximately 12,425. In 1995, Wilmington was chosen as one of the 100 Best Small Towns in America. Wilmington was once again featured in 1997 by TIME magazine as a small town that is attractive to suburban families. Today, the town of Wilmington is known as a center for aviation, agriculture, manufacturing and healthcare. 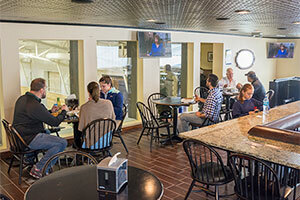 World Equestrian Center Wilmington offers three popular and convenient on-site dining options for riders and spectators. 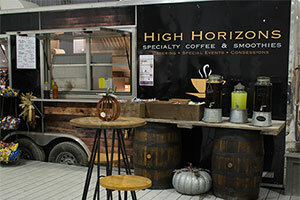 At the High Horizons Cafe, located in the Winner’s Circle, enjoy a variety of breakfast and lunch on-site dining menu offerings. The cafe offers breakfast sandwiches, soups, salads and daily specials for riders and spectators looking for quick meals on the go. The International Cafe, located outside the Roberts Arena, offers classic on-site dining options for breakfast, lunch and dinner. Enjoy high-top tables, booths and private seating areas with wonderful views of the show rings. 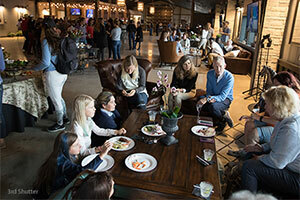 The Paddock Club, which doubles as an equestrian art gallery and an event space, is a great spot for family-friendly dining with multiple seating options. You can enjoy the International Cafe menu here as you browse beautiful works of equestrian-themed lino cut artwork. Get a closer look at the World Equestrian Center in Wilmington, Ohio. News updates on all of the events occurring at the World Equestrian Center. Follow our directions today to safely and quickly guide you to the Wilmington World Equestrian Center. 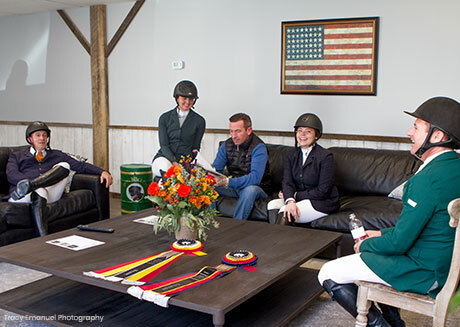 Are you interested in speaking with our show experts about hosting your next event or sponsorship at Wilmington Equestrian Center? Looking for more information about our Ohio equestrian event venue or upcoming events? Please contact us and we will be more than happy to answer any questions you may have. We’d love to talk to you!